Britannia School students celebrated British Science Week 2019, from 8th 17th March. It gave our students an opportunity to explore, research and conduct experiments, during a week of science, technology, engineering and maths. Pre-Nursery spent the week focusing on ‘The Very Hungry Caterpillar’; sorting shapes scientifically, experimenting with fizzy colours and making magic milk. Nursery concentrated on ‘Space Science’, designing colour merging planets, creating erupting Olympus Mons and playing with alien slime. The topic in Reception was ‘Seasons and Science’, in which they made rainclouds in a jar, fizzing summer ice-creams and observing the weather cycle in a bag. Whilst in Primary Class they took part in Roald Dahl themed science; exploring static electricity, designing Muggle Wump rescue planes, taking part in The Twits teeth experiments and making balloon rockets. Each age group designed their own poster, which were then displayed in our hall. 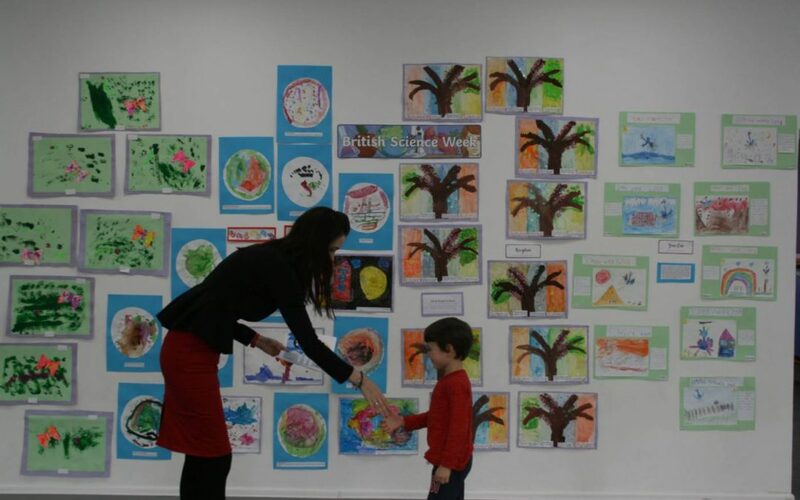 At the end of the week, the children attended an awards ceremony where each child received a British Science Week certificate, issued by the British Science Association. One special child from each age group was also awarded a prize for the best poster.